Our first WordPress plugin (available to the public anyway). ALT Checker is a simple plugin that searches your posts and checks to make sure that all of your images have ALT tags on them. Very helpful for those of you that are sticklers for that W3C validation. 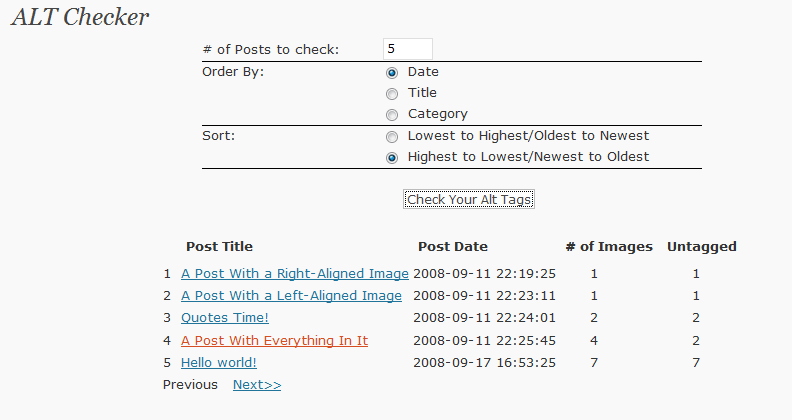 Search through your posts quickly and find the missing alt tags.